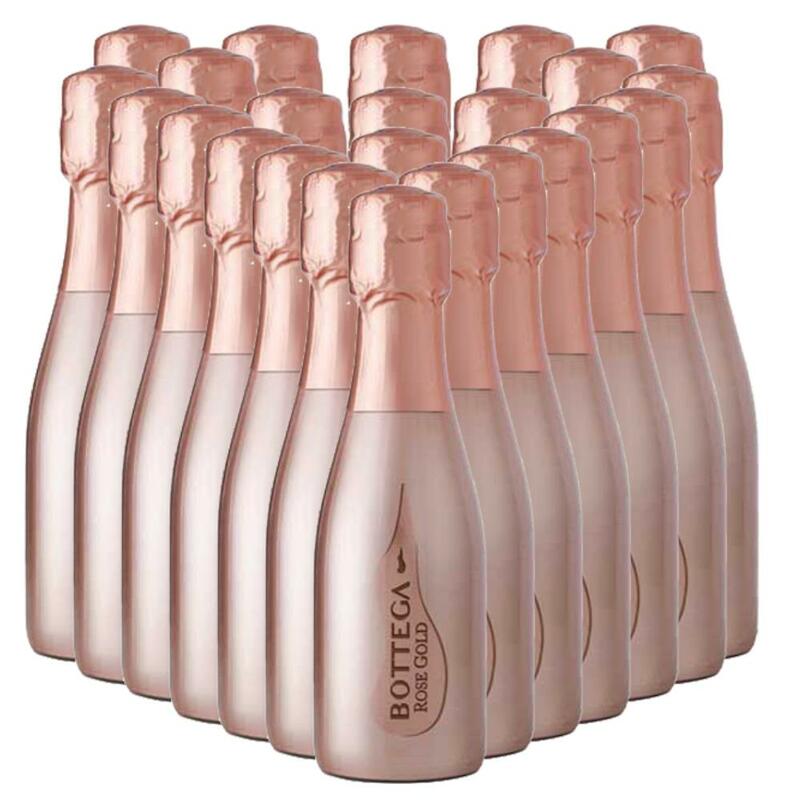 Bottega Gold Prosecco Rose Mini. Peach in colour. Brilliant with fine and lasting bubbles. Distinctly flowery with a scent of mixed berries, mainly currants and wild strawberries. A fresh taste, with good acidity. A harmonious, delicate and persistent finish.